Snake worship without any doubt, owes its origin to man's natural fear for these reptiles.However, in Hindu culture, they own a prominent place. Hindu mythologies are filled with stories and fables about snakes, the most important being the Sheshnaga of Lord Vishnu. This is a popular festival in Andhra, Karnataka and Maharashtra. I had posted about this festival last year with more details on the pooja and a different set of offerings too. You can take a glance of it here. 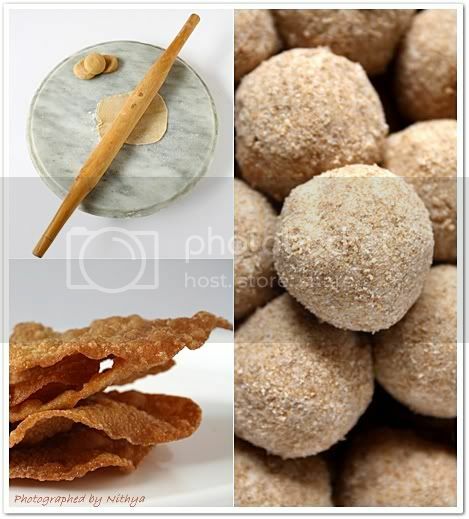 Last year we made three kinds of sweet balls namely Sesame Sweet balls, Roasted gram sweet balls and peanut sweet balls. But this time for a change we decided to make a new variety along with the usual ones. I wouldn't claim it as new, but its pretty rare that you see this one. Its a simple yet very interesting snack. Take wheat flour in a bowl and add a pinch of salt to it. Pour in just enough water to make a thick dough(Chapathi dough consistency). Now roll out thin chapathis and let them dry on a paper for 20 mins. Later poke holes on the chapathi using a fork. Now deep fry it till crisp on both sides. Once you are done with all the chapathis, break them using your hand. Powder the sugar and keep it aside. Run the broken papads in the mixie to powder it too. Mix both the powders on a paper and then once again put them in the mixie and run ones. Transfer it to a plate and roll them into balls. Other than the sweet balls, we also make Sweet poha and spiced poha too as offerings. You can find the sweet poha recipe here. gorgeous pics ... we celebrate nag panchami too. wht abt you?? 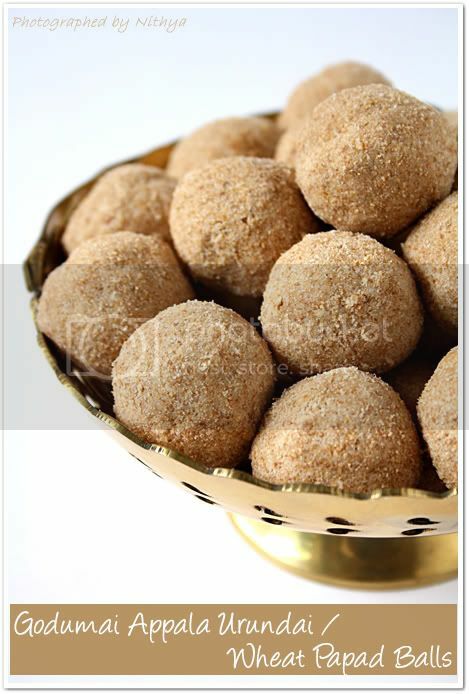 Nice pictures nithi and this is anna favorite balls, Periyamma has roughly told how to make this but i have not made it though. I should make this sometime. HAPPY NAGA CHATHURTHI. Thanks for the unlimited treat Nithya!! Love all the pictures and the recipe too. 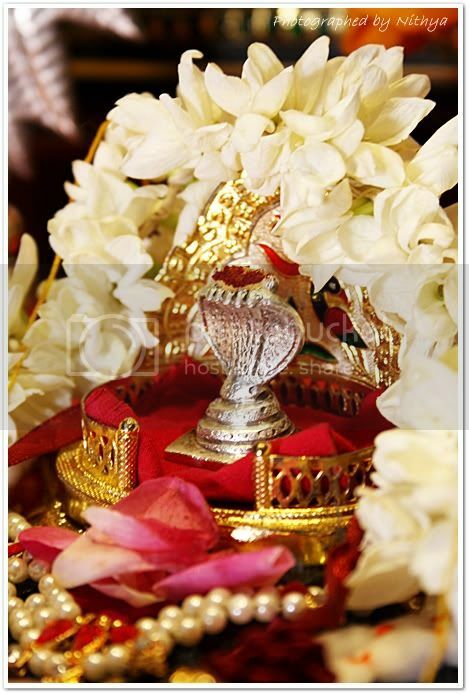 It is absolutely divine Nithi. Love your Puja room. The wood work is so pretty and so is your pictures. Even we celebrate this festival...lovely papad balls....it looks really yumm..I even loved ur pooja mandir..
Yummy Nithya!! 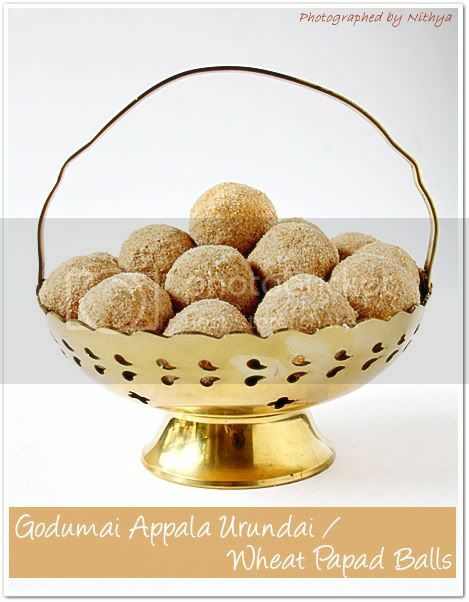 !We Celebrate Karuda Panjami, next day of Nagar Chathurthi.Amma Makes yummy urundai urli!!!! mm yummy!!! Tasty....I remember my mom making this. 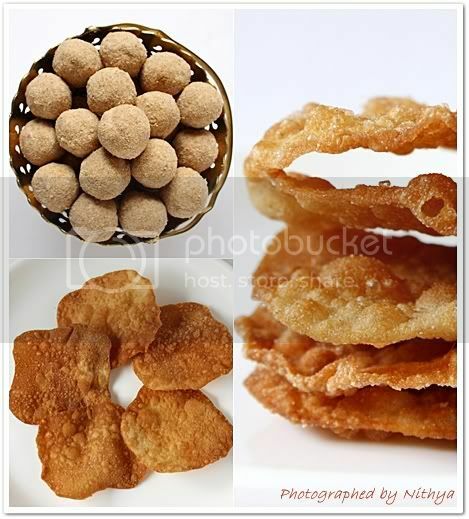 This is new to me..have never tries this..thanks dear for this delicious recipe..will try this soon..I have always relished poori and sugar..so, no doubt this is gonna be my favourite..
Lovely post dear, i love the clarity and sharpness of pics, you have become a pro! Proud of u..keep it up! Happy nagapanchami to you too. This is the main festival for us here in North Karnataka. I was busy making 5 varieties of laddoos. this is indeed a very rare ladoo ... anythig that is fried will taste awesome ..
First time here and loved your space.Awesome pics..loved your puja room..Following you !!! Awesome clicks and very nice recipe, new for me!! Happy Nagar Panchami nd may god bless U n ur family!!! Interesting recipe..looks yummy, beautiful clicks as always. 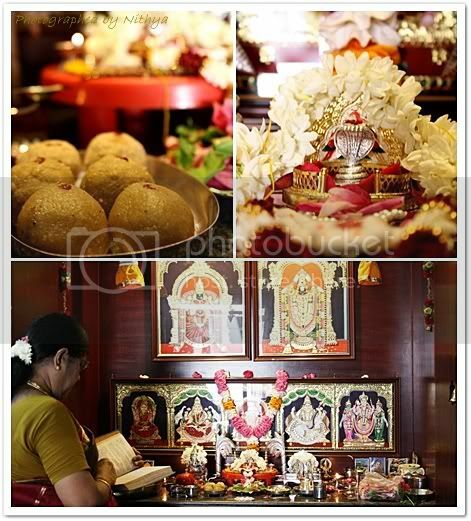 Fabulous pics...love the pooja room,nice sweet! 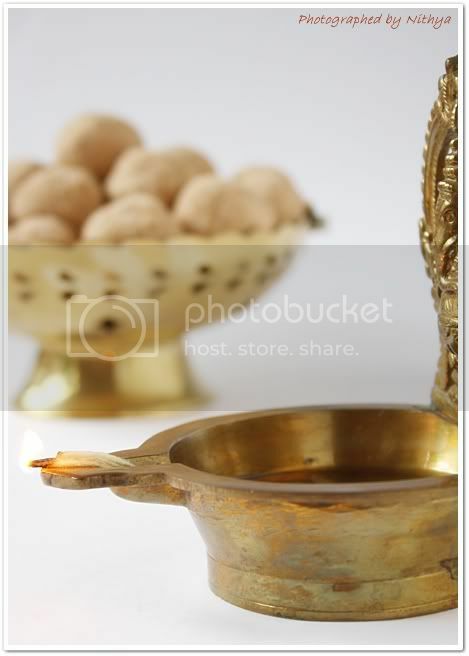 hey nitya, Gorgeous pics dear!, lovely urundai too... must try it out sometime!